Meet Chris - Duerr Law, P.C. Chris brings a solid business approach to his clients, helping them to successfully navigate even the most complex of legal issues. He takes the time to get to know his clients, providing practical and creative solutions so they can focus on their day-to-day lives and businesses. Prior to launching Duerr Law P.C., Chris was an attorney for the Commonwealth of Pennsylvania for almost 20 years. 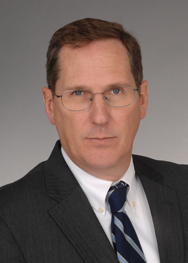 In this capacity, he represented and successfully litigated eminent domain, land use and zoning cases, as well as employment and license suspension cases as in-house counsel for the Pennsylvania Department of Transportation. Before that, he was with large Philadelphia area law firms where he gained a deep understanding and unique perspective in a broad range of legal matters.